So you have just received your brand spanking new lens that you have been dreaming of for a while. The first thing you probably do is mount it on your camera and take some sample pictures. But before you do that, it might be a good idea to do a couple of things that will not only help keep your camera gear clean, but also decrease your frustration level with your new lens in case it is defective. Below you will find the list of things I personally do after buying and receiving a new lens. Most of the time, the lens you purchase is going to be brand new. However, there are cases when some retailers will try to sell a used lens as brand new. Ever since I switched to online purchasing from companies like B&H and Adorama, I have not had such a problem. Either way, it does not hurt to check if your lens is in good condition or not. The first thing I do is inspect the lens mount (where the lens gets attached to a camera body) and see if I can find traces of lens use. Usually, you will see dirt on both the rear lens cap and on the lens mount or if the lens was cleaned, you should see some scratches on the metal mount. If everything looks good and there is some clean grease on both the mount and the lens cap, I then inspect the rear lens glass element and make sure that it is clean, without any scratches as well. Next, I move to the front of the lens and inspect the front glass element for scratches and dirt. After that, I use a flashlight to check if there are any large chunks of dust behind the front lens element. Small pieces of dust are never a problem, but if you see a piece of plastic or another large particle, you should return the lens for replacement immediately. Finally, check the lens barrel for damage and scratches. Every single lens that I have bought new had some grease (some had more than others) on the lens mount, which is normal. This grease is in fact added by the manufacturer to allow for smoother mounting / dismounting and to diminish the chance of metal pieces shredding off when they come in contact with the metal camera mount. However, in some cases there is just too much grease (especially on the lens contacts), which can potentially affect the communication between the camera and the lens when the grease gets mixed up with dust and dirt. Sometimes traces of excessive grease are evident even on the rear lens cap. If I see that, I usually remove some of the excessive grease from the lens mount, its contacts and the rear lens cap. You can do this by using a microfiber cloth and some medical alcohol. Just put a drop or two of medical alcohol on the cloth, then gently wipe the rear lens mount and the contacts. Make sure not to touch the rear glass element while doing this. Next, clean the rear lens cap and use a Rocket Blower to remove any particles left by microfiber cloth. Put the rear lens cap back on afterwards. This is quite normal for a new lens and if you see a little bit of grease, it is not an issue. 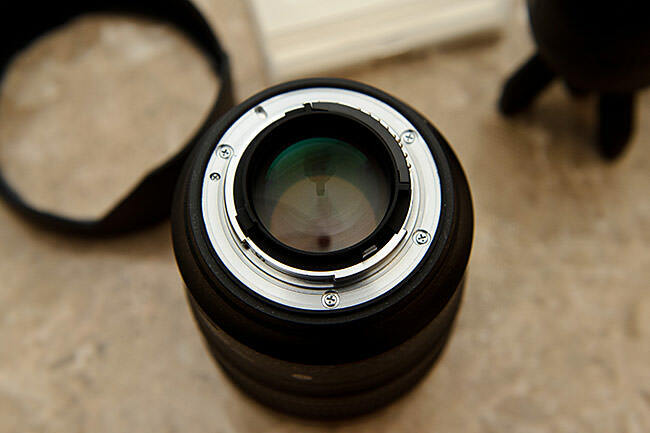 However, if you see too much or if there are visible particles on the lens mount, it is best to remove them. I personally use UV/clear filters on every single lens I own for two main reasons – for protection and for easier cleaning. There were a few cases when I was glad that I used a filter – I managed to scratch my filters several times when I was walking through dense bushes and woods while scouting for photo spots with a camera on my shoulder (and yes, I did have the lens hood on the lens). I ended up replacing the scratched filter later, which was much cheaper than replacing the lens. As for cleaning, some lenses have “threaded” plastic right next to the rounded front lens element (for example Nikon 50mm f/1.8G), which makes it extremely difficult to clean the front lens element without leaving stuff on those threads. Once you put a filter on the front of the lens, you have just one straight area to clean and worry about. I know that some photographers argue that using filters degrades image quality. That’s certainly true, but only for cheap filters. High-quality filters rarely affect the resolving power of lenses, as I demonstrated in this article. So as long as you use quality filters, you do not need to worry about image quality degradation. If you are considering purchasing a filter, the last thing you want to do is spend your money on a crappy filter that will certainly impact your images. I personally use B+W filters (see Our Gear page for the types of filters I use) on my filters and although they are expensive, they are totally worth the price. Make sure to get Multi-Coated (MRC) F-Pro series, and preferably the nano type to reduce potential for vignetting – the above photo is for illustration purposes only. You certainly get what you pay for! You have inspected, cleaned the lens and protected it with a filter – now it is time to get out and shoot! Mount the lens on your camera, then take it out for a real test. Go out for a walk in your neighborhood and take lots of pictures. Try focusing on your subjects from a close distance, then take some pictures of subjects far away, while playing with different aperture values. Pay very close attention to how you focus and take multiple pictures of the same subject while re-acquiring focus. Once you get home, go through your pictures and see how you like the results. If it turns out that most of your images are out of focus, you might have a lens with a focus problem (or you just don’t know how to properly focus). While most manufacturers are pretty good with their Quality Assurance processes, there are some cases when a lens might need some tweaking and calibrating to focus better. Testing your lens for a back or front-focus problem is easy, but you will need to use a tripod and a calibration chart for accurate results. Check out my article on calibrating lenses using different calibration tools and software – it is a pretty detailed guide for fine-tuning your lenses. For a simpler and very inexpensive setup, you can use these instructions as well. If it turns out that you do have a problem, then call your lens manufacturer and tell them what’s going on. They will most likely ask you to send both your camera and your lens for calibration. Before you do that though, perform the test several times very carefully – don’t just send your gear if you are not 100% sure it has a problem. If you are an advanced photographer, I would recommend to also test your lens for other problems such as: decentered lens elements, excessive chromatic aberration, distortion, focus shift and field curvature. Many of these are usually normal lens properties, so it is recommended to first check reviews and notes from other photographers to make sure that what you see is indeed abnormal. Don’t forget to register the lens with Nikon, Canon, Sony or whoever else you bought it from. 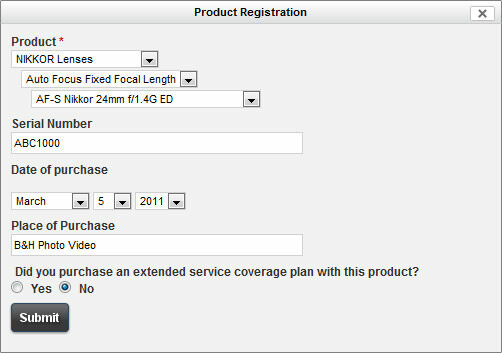 It is a good idea to register your lens right away, since manufacturers like Nikon require registration to get the 5 year extended warranty (although they will still accept the lens for service if you can show them the original receipt and proof that you bought it from a Nikon authorized dealer). In addition, if a lens is recalled for whatever reason, you will get notifications from your manufacturer and if you need to send it for repair, tech support will be able to help you quickly. If you have a Nikon lens, visit this Product Registration page or simply go to https://www.nikonimgsupport.com/ni/NI_home?ctry=US&lang=en_US, then click on “Service & Support” -> “Product Registration”. If you have never registered anything with Nikon, now might be a good time to register your gear. I have every single Nikon camera, lens and accessory registered with Nikon USA. Once you register, you will be able to see every Nikon gear you own on one page, along with serial numbers. 6) Take It For a Ride! Every lens is different and requires some learning and getting used to. You have played with the lens and shot some sample pictures, now you need to take it with you on a real photo shoot. If you have an upcoming event, a vacation or a real photo shoot for your photography business, try to use your new lens as much as you can. Not only will you learn how to use it better, but you will also find out what its limitations are (unfortunately, no lens is perfect) and when to use its best. When I do my lens reviews, I always try to take them on real photo shoots, so that I can get a good feel on their performance. Shooting test charts and brick walls just won’t make good photos! The above picture was taken while I was testing the Nikon 24mm f/1.4G lens. Like I have pointed out above, no lens is perfect. Some lenses have problems with too much vignetting while others have issues with chromatic aberrations and distortion. The good news is that most lens problems can be dealt with in post-processing today. 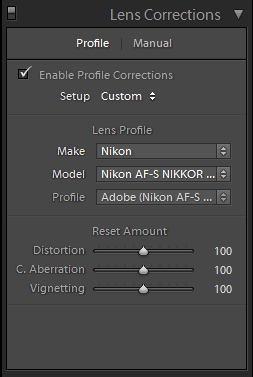 The latest version of Adobe Photoshop Lightroom, for example, comes with a cool feature called “Lens Correction“, which automatically fixes distortion, chromatic aberration and vignetting issues for known lenses (see screenshot below). If your lens is not supported, you can manually correct those problems in one image, then copy-paste the settings to all other pictures taken with the same lens. Hope you find this guide useful – let me know if you have any questions in the comments section below! Great article, but speaking about filters, how do you deal with the 14-24mm f/2.8G? Perval, that’s one of the few lenses you cannot protect with a filter :) Cleaning the 14-24mm is not bad though, since there are no threads besides the large front round element. HI Nasim. Thanks for your input on dust on the lens elements. I bought a Nikon 70-200mm f2.8 from Adorama, and for a dust particle or two inside one of the lens elements (I only noticed this when i inspected the lens with a torchlight). It doesn’t affect my image quality at all, although i was a little alarmed at first, and was thinking for sending it for servicing. My cousin who is a professional photographer, advised me against it, if it doesn’t give any problems. The 70-200 is a wonderful lens, and i read your article before buying it :) Just one question: I tried looking for the Nikon 35mm f1.8G lens, but i can’t find it anywhere! Do you have any recommendations on where to get it from? Carl, you are most welcome! The filter Nikon rumors shows is a great solution (seen the video of it on youtube before), but it is very expensive, since you have to buy larger filters for the setup as well. But I have a question, When we’re about to buy a second-hand lens for example a Nikon 70-300mm VR, what should we do to make sure the lens is working well ? Keith, just inspect the lens against large particles inside the rear and front elements and thoroughly test it for any potential focus problems at different focal lengths. In addition, I would play with the zoom ring and see if there are any problems with it – the zoom action should be smooth, without any grinding noises. The first thing to do after cleaning is to thoroughly test the lens. Obviously it should precede registering the lens, for if the lens sample is bad, you should return/exchange it. Testing should be done for back/front focus AND decentering. The best way to test for focusing problems is by using a calibrator test (not the focus chart). Datacolor Spyder LensCal, for instance, isn’t that expensive and is a worthy investment. IF you don’t want to spend anything, then I would suggest that you use regex.info/blog/…ocus-chart instead of the photo.net focus chart. UV filter shouldn’t always stay on the lens. Use it only in certain environments. One would be foolish to use it inside a studio or at night, but it would be wise to use it when shooting a dirt bike race or when shooting close to the water source. By the way, the B+W filter pictured is not MRC, so unless it’s just a photo for demonstration purposes, I would suggest that everyone gets the XS-PRO MRC series. No multicoating = increased IQ degradation. Vlad, I need to be more attentive when posting articles at 3 AM in the morning :) You are absolutely correct about testing the lens before registering – I fixed the order. As for performing focus tests, while it is certainly nice to test lenses with a real focus chart, I don’t think everyone (especially beginners) should be investing in one. I personally prefer the LensAlign products over Datacolor LensCal. Your link to a focus chart does seem better than the one from photo.net – I added your link to the above article as well (if you don’t mind). Now in terms of filters, I have my F-Pro MRC filters on my lenses all the time, even when shooting in a studio. In fact, sometimes you have to use such filters as ND (when the flash output is too powerful) and Polarizing (to diminish reflections) in studio environments. Filters are known to add more ghosting and flare when shooting against bright light sources, so if that becomes a problem, I temporarily dismount the filter and put it back on when I am done. Maybe I am too over-protective, but I think it is better to be safe than sorry. 1. If XS-Pro nano filters are thinner than the F-Pro series, will they still take the Nikon lens cap (will it fit securely)? I don’t think they are as thin as the “thin” version of the F-Pro series, which you said somewhere would not take the lens cap. I’ve heard but not confirmed that the XS-Pro filters will take the lens caps just fine. 2. 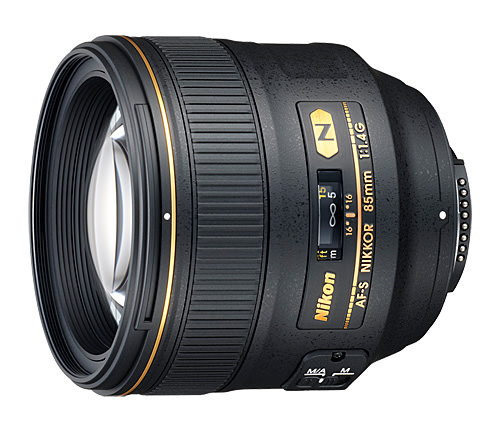 I have a Nikon 16-35 f4.0 VRII lens and assume that the F-Pro series filters will vignette on that lens at wide angle. Do you know at what mm the F-Pro series begins to vignette on an FX lens and Body (D700)? Also, do you think the XS-Pro nano filters will work on the 16-35 without vignetting? 3. The nano coating of the new XS-Pro filters is probably not identical to the nano coating on the Nikon lenses that I have. Will there be a conflict between filter and lens? 4. Regardless of which way I go (XS or F-Pro), should I go with clear or UV? I’ll need about 10 filters for my lenses and I live in Houston, TX. I’m not sure how much I’ll need UV with digital. My first thought is to go with all UV. That way, if I’m ever on water or in the mountains, or on a very clear day, the UV might be helpful. Are there any drawbacks (like a yellow cast to the picture from the UV filter) to using UV as a permanent filter on my lens regardless of where I am shooting (indoors, outdoors, etc.)? I think it is worth mentioning that filters are made of very soft (cheap) glass, whereas lenses are made of much more durable glass. Therefore it’s not fair to say that every time you get a scratch on a filter , also the lens would have been damaged if there was no filter in place. Tuomas, it depends on the filter you buy. Some lenses are cheap and crappy, others like B+W are made of high quality glass. And filters are there not only to protect against potential scratches – as I have pointed out above, they make it easier to clean lenses. I do agree about cleaning. The best advice in your article which I’ve been doing for 50 years: I buy all my serious camera stuff at B&H. NEVER a problem. I’ve used Adorama et al, but when I buy something that cost big bucks andIi want to be absolutely certain about it, I just go to B&H. Very informative & straight forward, am really enjoying your website. Keep it up Nasim! 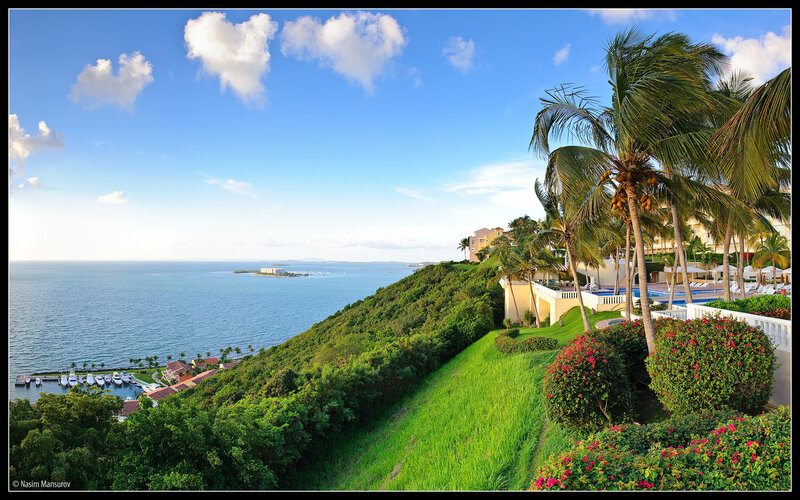 The picture of the ocean view with the 24mm, was that taken using a circular polarizing filter? great info though out the website. A 35mm lens is a 35mm lens no matter what. (35mm refers to the distance from the focusing lens i believe to the sensor). The difference is in the FOV – Field of View – but only when considering an FX camera. If you have a 35mm DX lens on a DX camera, it will have the same field of view as a 35mm FX lens when used on a DX camera, because its still a 35mm lens, and the sensor is still the same size. For example, I have the 50mm f/1.4G and i have the 18-105mm f/3.5-5.6DX. If I set the zoom lens to 50mm and look at something, I see exactly the same thing as when I use the 50mm f/1.4G when looking at the same thing. When you start considering these lenses on FX cameras, then it works a little bit differently. Thank you very much for spending your time to write this very informative article. Now, I have a complete set from 14-200mm (a set of three amazing zooms). I used to buy from BH Photo, but this time, they did not have 14-24mm f2.8 in stock, and so was Amazon. Therefore, the only reliable place to buy is Adorama. To be honest, I am not going to buy from Adorama anymore. They are so panaroid, it is really a hassle dealing with them. Once I place my order, they called me to ensure that I really bought the lens. This one is fine, but they prevent me from picking up the lens at the UPS office. I had to make many calls to Adorama and UPS to be able to release the restrictive hold by Adorama. The only reason that they finally released the hold is that I was going to cancel the purchase. I have never had this problem with BH or Amazon. Therefore, if you have people at your house to receive the lens, it is OK to order from Adorama, but if not, ordering from Adorama is a pain. Man rasm sohasidi ilk qaldirg’ochladan biriman :) maslahatizzi berib yuborsez, iltimos. Qaysi birini oganim afzal. Variantla 3 ta lekin boshim yomon qotgan qaysi birini olikin dip :( mana variantlar. Many years ago, I dropped one of my camera bags, which shatterd the filter, saving my lens. Another time one of my friends was using a flimsy tripod and a remote shutter to photograph us, when a sudden breeze blew and tripped the tripod. Luckly he had a filter on so it got shattered and saved the lens. 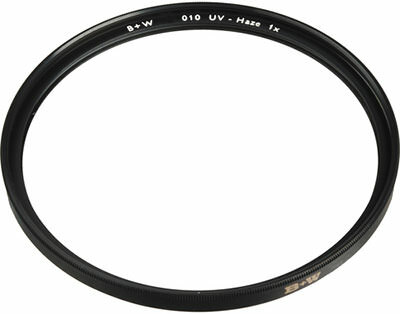 I have been using B+W filters all along, but recently I bought some Nikon 77mm Clear NC Glass Filters from B&H. It says clear (colourless) and multicoated. Yet to test them out on a shoot, waiting for the crappy weather to imporove. Thanks for good article, again. I heard, that especially Nikon N – lenses suffer in quality when used with filters. Sadly, those are the lenses, that cost most and thus need most protection. Can anybody confirm this? Personally, I use the lens hood also for protection. It has saved me from damage several times – believe me or not. You mention the lens correction for LR. I have noticed there is a setting for this in my Nikon D5000 menu too. Does it really do something? I saw there was a firmware update that seems mostly to update the data for lenses. I was wondering if using lens correction might in fact throw off focus and IQ rather than making it better. I don’t understand why you remove the grease. Nikon has put the grease on the lens for a reason and that is to lubricate the connection. By removing the grease, aren’t you risking future problems when you gall the lens or camera mating surface? You should not remove the grease on the contacts: it was put there by Nikon, to lubricate the mating surface of the contacts. Nikkor lens contacts and the corresponding contacts on the Dxx digital bodies are typically tin plated contacts. 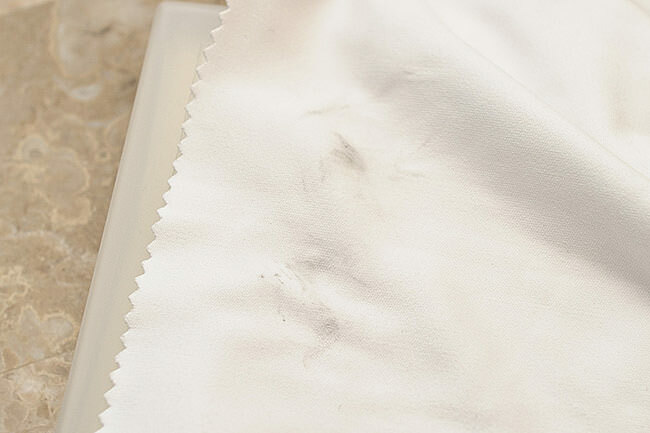 A tiny bit of grease prevents friction and abrasion that would cause contact wear. Been removing grease from my lenses for 5 years now and never had any problems. The grease that’s left on the camera body and other lenses is more than enough for contacts, in my opinion. Another nice article. I have a question though. In the world of digital photography, do these UV filters are really useful ? My understanding is that digital sensors are not sensitive to UV. So don’t you think NC filters are more suitable as protective filters than UV filters? I use a Nikon NC filter with my 17-55 2.8 and I didn’t notice any degradation in image quality at all. If you think UV filters are better than NC, why is so? Having said that, I am not completely sure of any bad effects of UV filters on the pictures, even on indoor pictures, but I can confidently say that NC filters (multi-coated) seem to produce no effect at all. Quick question – I am considering buying a discount DX body, along with the new 28mm 1/8G, as an interim step towards FF. How would Nikon’s support react if I notice a problem on the lens when I migrate to FX, that was not apparent on the DX body? Am I better off waiting until I can budget a FX body? This may be a dumb question, and answered elsewhere, but when not in use (like a day after shooting) or (a week between shoots) what is the best way to store lenses and bodies. Lens on body in case or lens off body in case or the same but store outside the case for air movement. Thanks a ton and great articles! This is very inforative, thank you for sharing this!! I will bear this tips in mind. I also buy lenses via online stores and after receiving it i don’t usually check it the way you do. I always test the lens by attaching it and ready to take some sample pictures. You are a great soul, who shares his in-depth knwoledge on photography with all of us. I have a 2 months old nikkor 16-85 lens. I was using it without any filter but a hood. Now some day back i discovered some minor scratches in it. Although i didn’t find any effect in pictures, but it already broke my peace of mind. Now i have a uv filter attached in it. May it be a problem between me and my creation?? What should i do?? Excellent publication, your blog has helped me a lot, I have learned many things elsewhere not left me so clear and have put into practice many tips here give and go if you have noticed the results, congratulations and thanks for this great blog. How do you store your gear when it’s not in use? Do you use a dry cabinet storage? I just purchased a used 45mm Olympus lens from Florida Drone Supply and so far it’s performing exactly how I expected it to. I am using it for photography on my DJI Inspire 2 with the x5s camera. At first I saw a dark spot in the first pictures of a landscape picture but I took off the lens and saw a very small speck of dust on the camera sensor. I used my air compressor and set it to very low pressure and blew it off the sensor without any damage to the sensor.